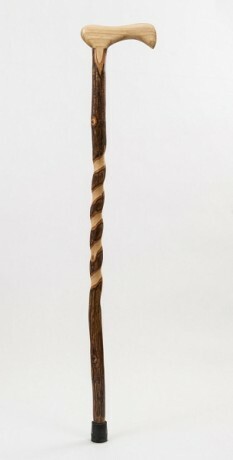 With its rustic beauty, this cane is the ideal companion for nearly any occasion. Hickory's strength and flexibility make this the only choice for those seeking a strong, sturdy walking aid. This cane is finished with a clear coat lacquer to bring out the natural beauty of the wood. The handle is made from ash and it is attached with a mortise and tenon joint for a secure fit. This cane is 37” tall and comes with a rubber ferrule for a secure grip on any surface. 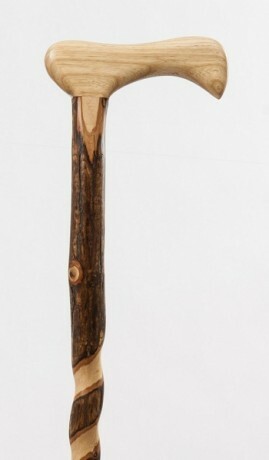 This walking cane is handcrafted by Brazos Walking Sticks in Waco, Texas.